This plugin allow to your users to paste syntax highlighted codes from pastebin.com to your posts using [pastebin]The id of the paste here[/pastebin]. 1.) 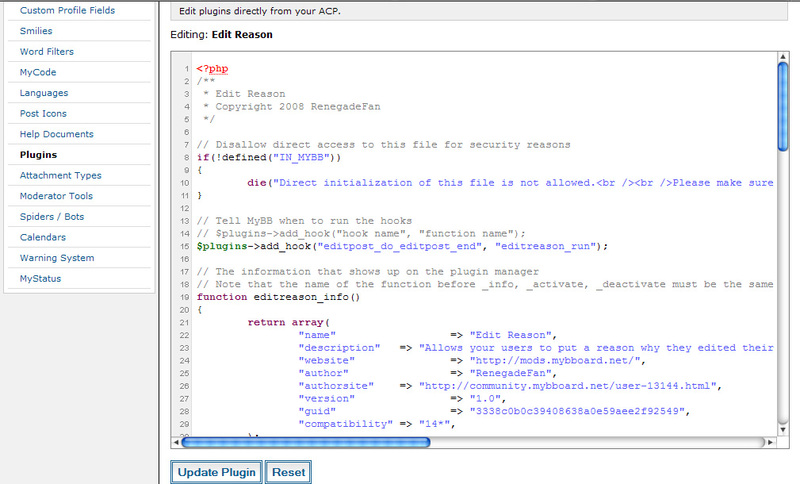 Upload the plugin file pastebin.php to your inc/plugins/ directory.